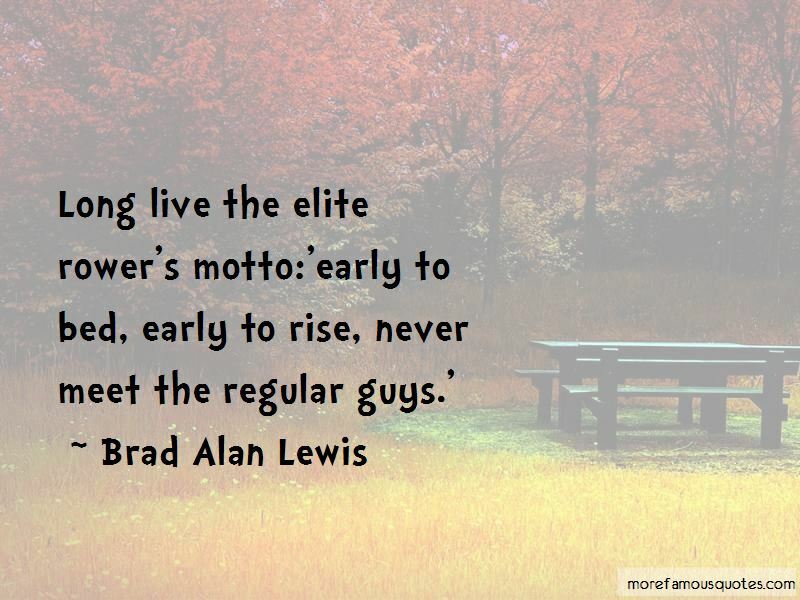 Enjoy the top 40 famous quotes, sayings and quotations by Brad Alan Lewis. A man goes through many changes in 2000 meters. Some are not very pretty. Some make you hate yourself. Some make you wonder if you've been rowing for only three or four days. To avoid that fate, we prepared for all possibilities. If a meteor landed 10 feet off our stern, we would not blink. [We] Would be aware, yet impassive, to the outside world. Every ounce of energy would be funneled into the water, and not wasted by looking around, worrying about opponents, wondering about things that didn't concern our primary goal-to be the first across the finish line. If you want to be your best, spend a lot of time exploring what is more than enough. Push yourself until the bar is lying immobile across your chest. Push yourself right off the edge of your capacity. Picasso spent hundereds of hours carefully planning his masterpieces. The sketchbooks were filled with ideas, bits and pieces, test runs, none of it meant to be seen by anyone. 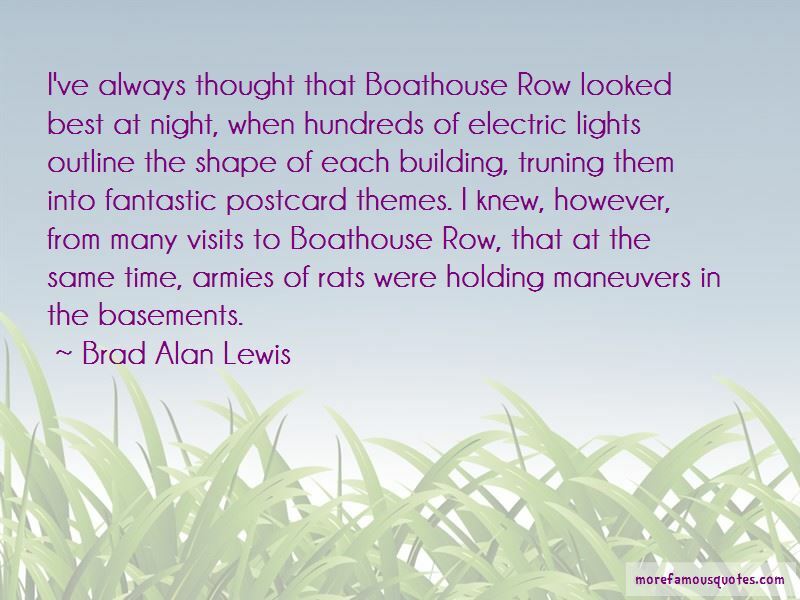 In a similar way, rowing practices are our sketchbooks, where we prepared our raceday masterpiece. The toughest part of the whole damn sport is the X Factor. To me, the X factor is your soul. It's your courage. It's your unique driving force. Suppose for a moment that [you] and I were [running]. Suppose that in every possible way-physical and mental-we were identical. Which one of us would emerge as the champion? You need flawless balance on the recovery. You need white hot focus and the concentration to row square blades cleanly for seven miles. Smooth water doesn't hurt either. After hooking up the fuel line and pumping a little gasoline through the hose, I prepared for a workout on the 'coach's ergometer'. 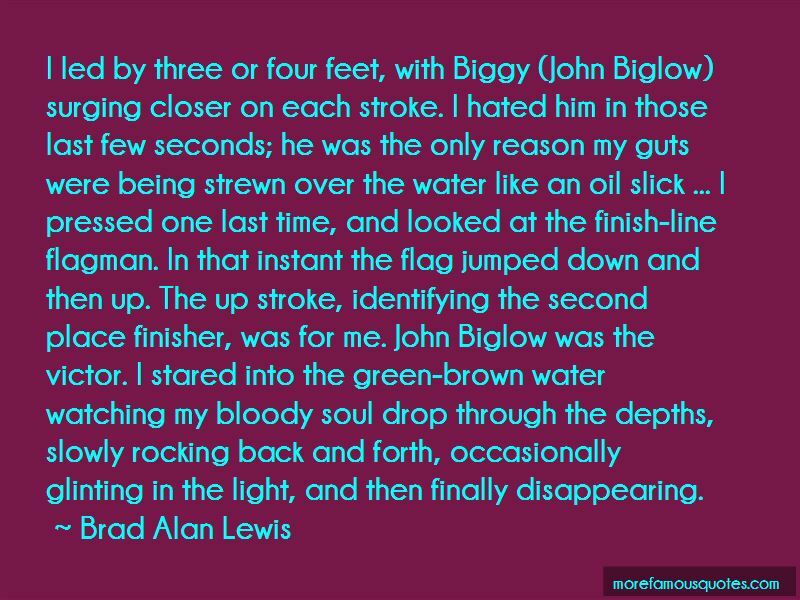 Want to see more pictures of Brad Alan Lewis quotes? 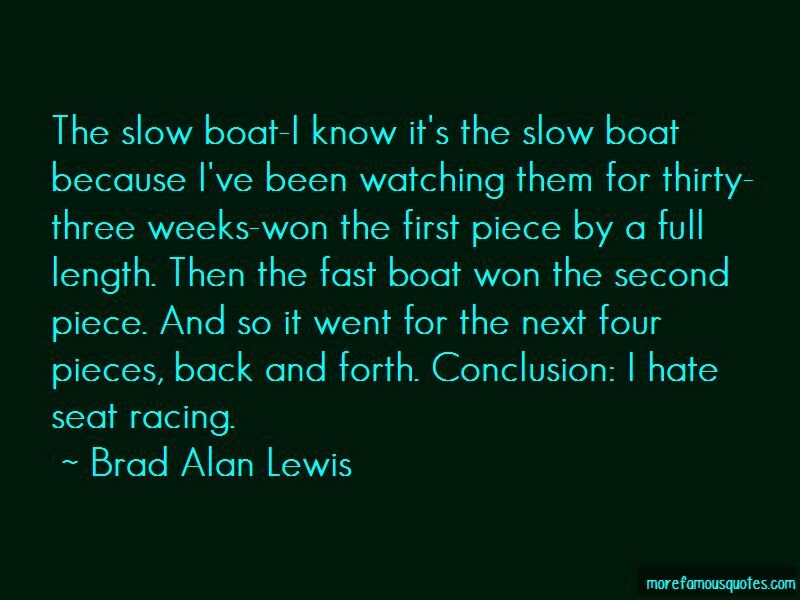 Click on image of Brad Alan Lewis quotes to view full size.